In India, where a family is the most important social unit, arranged marriages have always held greater prominence than love marriages. Nonetheless, with time the latter too, has gained popularity and now a major section of urban Indians prefer it. 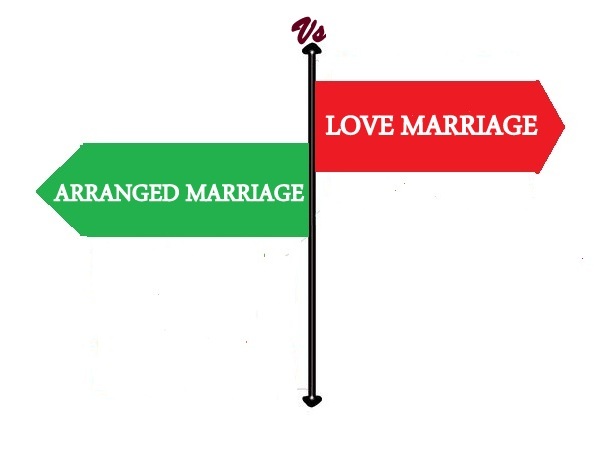 This article analyzes the pros and cons of both types of marriages so that a clear picture emerges of the two. Freedom of choice: One of its greatest boons is obviously the fact that no one interferes in the selection of your soul mate. You take the serious decision to marry him, for he suits your expectations, not because you have been told by your elders. Prior knowledge: The time you receive in getting involved with your partner helps you understand him better – be it his likes and dislikes or his strength and weakness. You don’t need to wait till marriage to realize that he loves romantic comedies in comparison to thrillers, and this eventually promotes adjustment. Eradication of social evils: Since the union occurs mainly due to mutual affection, traditional social stigmas, like dowry, are mostly disregarded. The reality of daily life breeds discontent: Before marriage, everything seems like a movie ‑ long phone calls, getting drenched in the rain, and candlelight dinners. Post marriage, the rigorous duties of daily life, strips off all the previous illusions, and as a couple confronts each other’s glaring flaws, each becomes despondent and wary. Lack of family support: Mostly occurring without the consent of parents, couples in a love marriage have no one to fall back on, in times of crisis. They cannot turn to their parents, for they, themselves are responsible for their choice. Abundant familiarity creates boredom: At times, when two individuals form an alliance after a long courtship, they do not have anything new to know about each other. They are acquainted with every minute detail of each; as such they become easily bored, and their relation suffers. Family support is always available: The couple can seek advice or help from their parents in any domestic trouble since the union is a result of the latter’s premeditated plans. Unfamiliarity makes conjugal life exciting: The process of unraveling the distinct natures of each other makes life interesting to a couple, not to forget that it also draws them closer. Financial security: In an arranged marriage, along with other factors, the financial position of a groom is chiefly considered, since he is seen as the reigning earning member. Naturally, such a marriage ensures economic stability for a couple. Conflicting personalities may make wedded life unbearable: The husband may like going out and partying, while the wife may be an introvert, invariably seeking seclusion. Differences of these types may be accepted initially; but in the long run, they prove to be detrimental towards promising happiness in a marriage. Too much parental involvement may cause random disagreements: If parents regard it their sole duty to give advice and warnings to the couple in all their personal matters, privacy evaporates, and disharmony grows. Lack of love and understanding may incur even domestic violence: Inability to like a partner often turns one uncompromising and selfish. The outcome of such an unhappy relation can be disastrous, involving extreme forms of torture and violence. 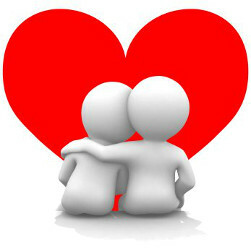 In India, approximately 72% prefer arranged marriages and 28% go for love marriages. The ratio is further higher in Haryana, UP, Rajasthan with 88%, while in states like Tamil Nadu and West Bengal, it is 59%, thereby silently affirming that majority of Indians prefer the traditional marriages. And it is appreciable that the divorce rate here is the lowest in the world, with only 1.1%. Love or arranged, an Indian marriage enlists several implications. Besides representing a lifelong companionship, it signifies adjustment, sacrifice, and generosity. It is sacred, vociferously stressing the need to treat all obstacles with patience and live blissfully. So, embark on this precious journey and rediscover the unrealized joys of life.